UPDATED NEW QUOTE BY ULDIS SPROGIS 1302!!! This entry was posted in common sense and tagged common sense, corporate, country, government, level, personal, quotes, state, trouble, truth, wisdom, wise sayings on January 12, 2019 by uldissprogis. Personal charitable contributions keep a charitable organization alive but you should try to donate to organizations with approximately a 10% management overhead. If you discover that ninety cents out of a dollar is going for administrative costs and only 10% to the charitable cause then you should avoid such organizations like the plague because they are really fraudulent organizations meant to enrich the owners or managers and little else. Many charitable causes promoted by celebrities unfortunately also have extremely high overhead costs and you really should not donate any of your hard earned money to them. This entry was posted in common sense, education, money, science, society and tagged charity, common sense, education, giving, language, money, needy, organizational, personal, science, society, the truth about charity, welfare, words on January 3, 2016 by uldissprogis. 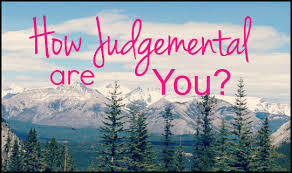 A judgemental human frequently impulsively and intensely judges other human behaviors and/or actions and it is also frequently accompanied by a critical attitude which puts many humans on the defensive and they don’t take kindly to the abundance of criticism. We all have to make judgments in our lives about humans but if it also conveys criticism very frequently then it is an undesirable habit to have. It is your responsibility to temporarily and sometimes permanently judge all humans that you come into contact with to the best of your ability. Just don’t be intensely, overtly, and overly critical of them or you run the risk of being thought of as having a judgemental attitude. This entry was posted in common sense, education, science, society and tagged common sense, critical attitude, education, intense, judgmental, personal, science, society, the truth about judgmental on August 13, 2015 by uldissprogis.